It’s a given that nobody loves doing laundry. And no, we aren’t going to give you any hacks to make it interesting either. 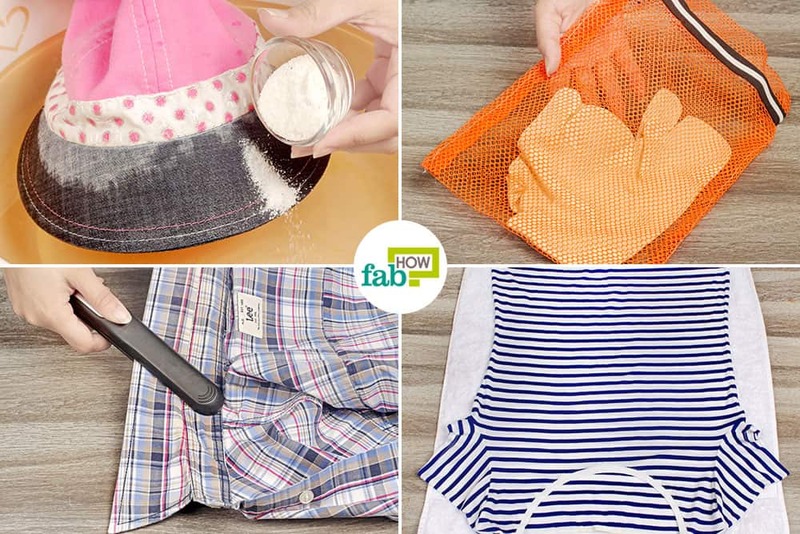 What we can help you with are some nifty laundry hacks to reduce the time and money you spend on this tedious and mundane task. Also, keeping up with the current wave of DIYs, we have consolidated a handy dandy list of the best recipes and alternatives for commercial detergents and other laundry products. There are also some clever tricks you can have up your sleeve to make drying, ironing and organizing your laundry faster and easier. 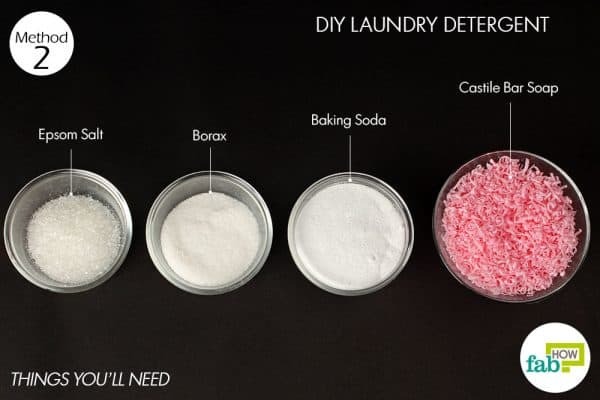 Read on to learn the best 15 laundry hacks to make your life easier. 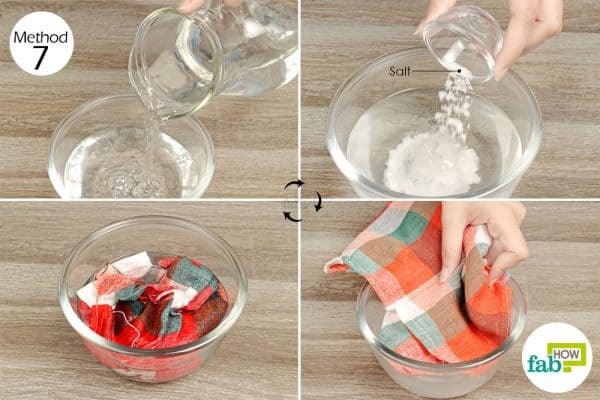 Washing soda, also known as soda ash, is an inexpensive laundry essential required to get rid of stubborn stains without spending a fortune. 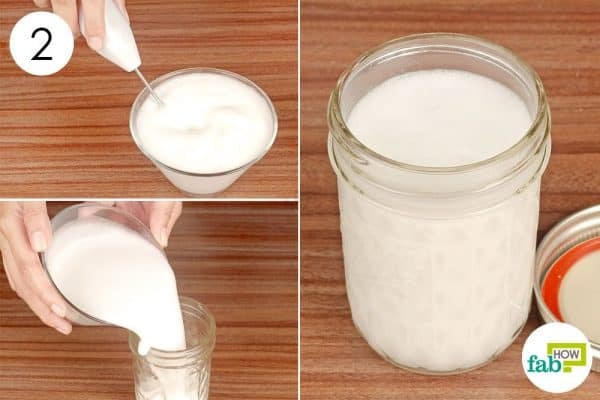 However, if you run out of this everyday product and are too lazy to step out of the house, just grab your box of baking soda and make DIY washing soda. 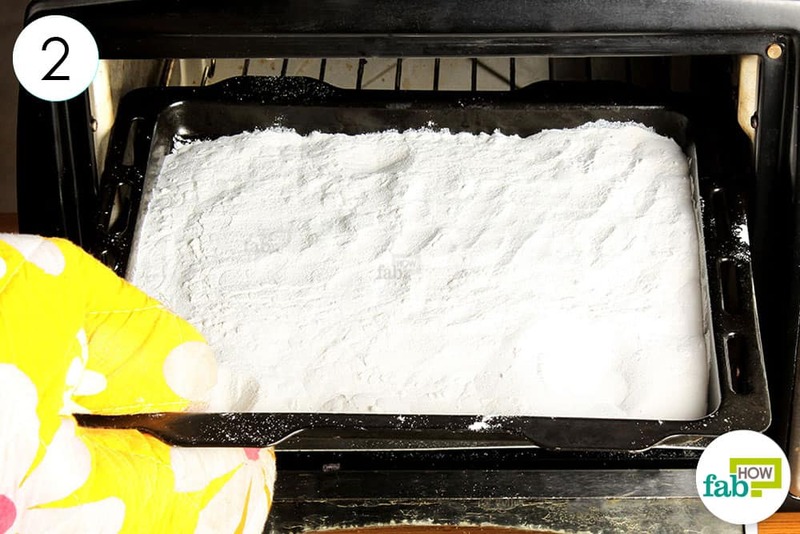 Heating baking soda (sodium bicarbonate) at a high temperature changes its chemical structure to create a grainy and clump-free washing soda (sodium carbonate). 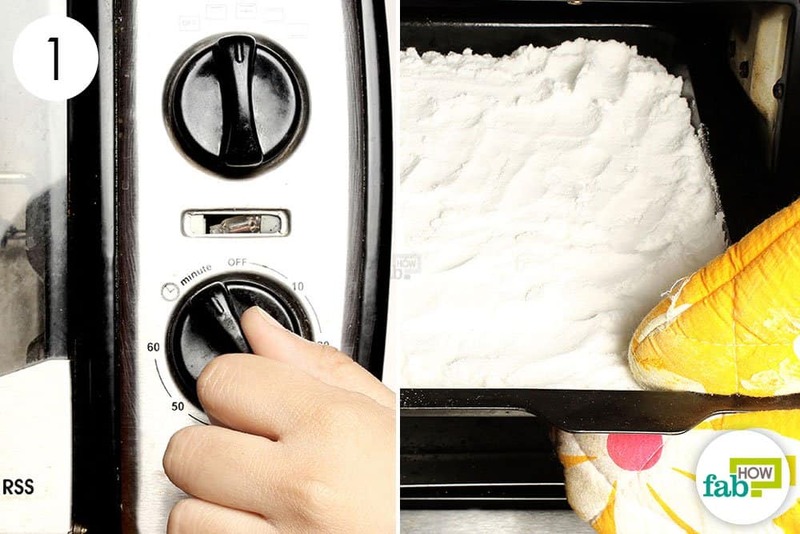 Spread out a thick layer of baking soda (2 to 3 cups) on a baking pan. Pop it into the oven for 1 hour. Stir it well 1 or 2 times during that hour to help it bake evenly. Take the baking tray out of the oven and allow the soda to cool down completely. The powdery baking soda should have now turned into grainy washing soda. 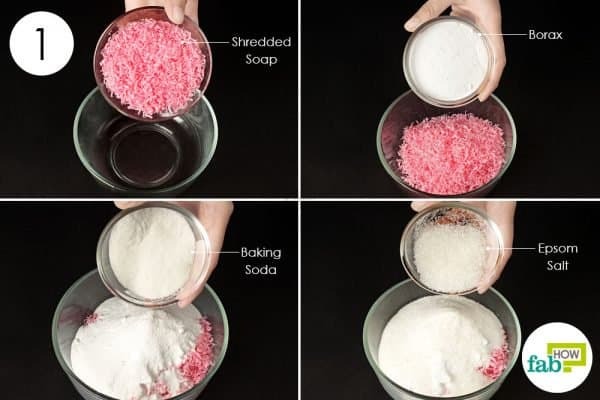 Use this homemade washing soda laundry hack to boost the effectiveness of your laundry powders and bars. 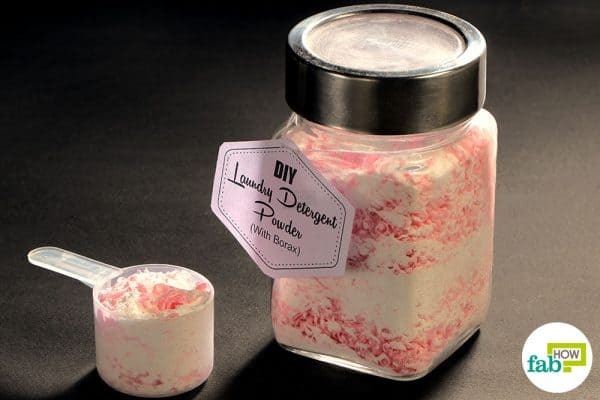 If you are contemplating ditching those commercial laundry products, this DIY laundry detergent is just what you need. The recipe is a blend of common and skin-friendly ingredients that will not only help you get rid of the chemicals but also save you money in the long run. 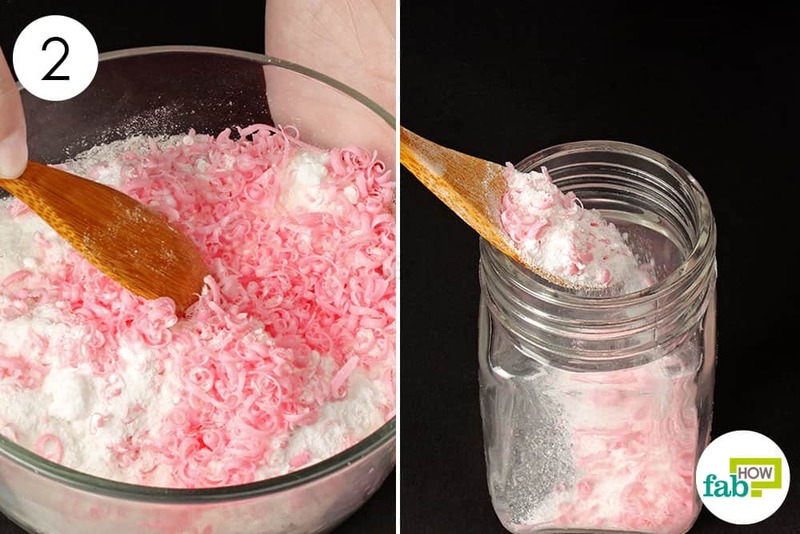 Put 1 cup of finely shredded Castile bar soap into a bowl. Add ¼ cup each of borax and Epsom salt. Use a spoon to mix the ingredients well. Spoon the mixture into an airtight jar and use as needed. For a regular load of laundry, use 1 tablespoon of this DIY laundry detergent for front-loading washing machines or 2 tablespoons for a top-loader. Chlorine bleach is a laundry room staple that helps keep our whites white. Although bleach is highly effective, we cannot ignore that it is a powerful chemical and can irritate our eyes and respiratory tract. 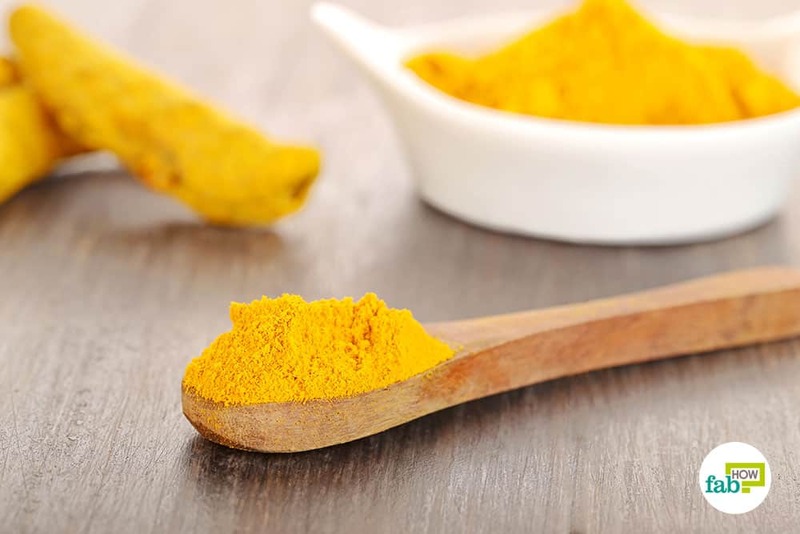 Rest assured, there is an easy and nontoxic alternative available right in your kitchen. Lemons serve as an excellent natural bleaching agent. 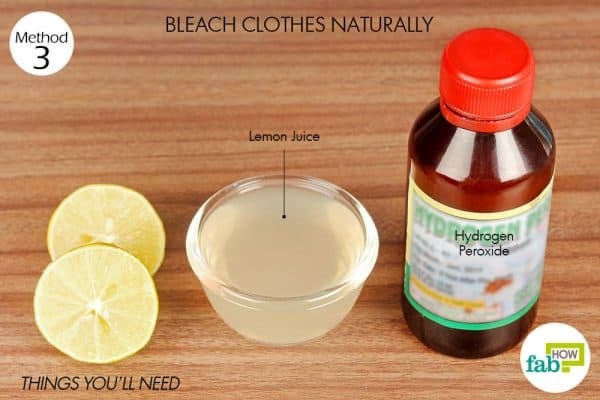 When combined with hydrogen peroxide, it will work equally as well as chlorine bleach sans the side effects. Mix them in the right quantities for this laundry hack and keep your linens pristine white. 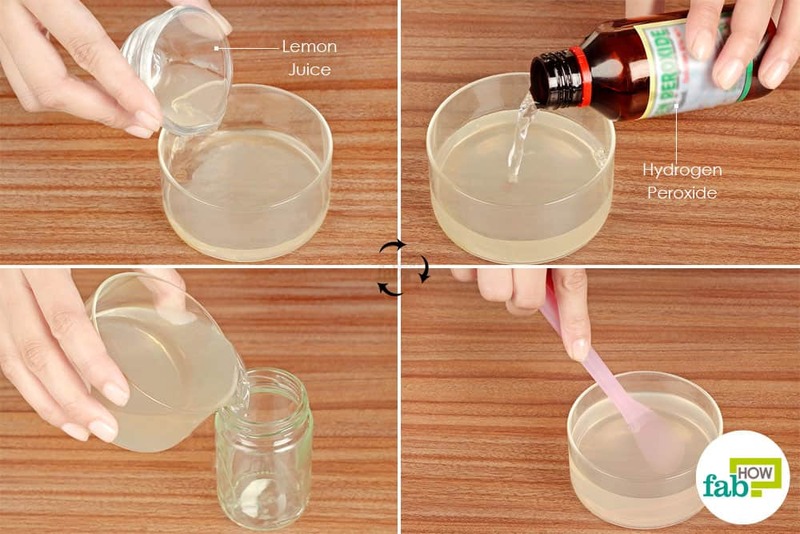 Pour 2 tablespoons of lemon juice into a container. Add about ½ cup of hydrogen peroxide. Mix well and store it in an airtight container in a dark and cool place. Add the mix to the bleach reservoir of your washing machine, when needed to brighten your whites. 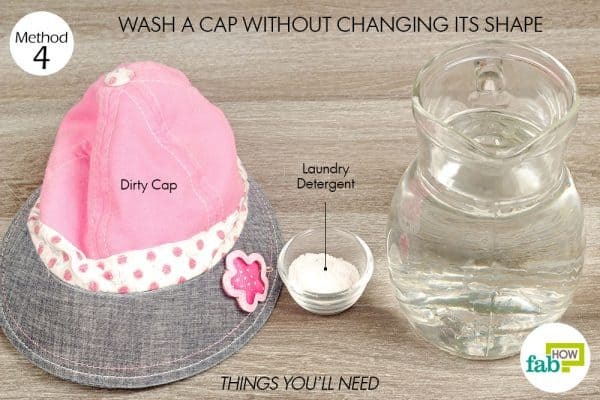 Everyday use of a cap leads to a buildup of sweat and dirt on its surface. While the crown of the cap is softer and easier to clean, the shape of the hard bill often gets ruined while washing it with regular laundry. 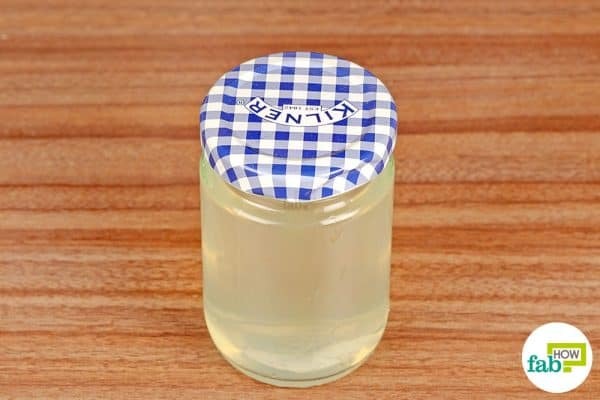 If you do not wish to mangle your prized caps anymore, use this easy laundry hack to remove the grime and keep them clean. Pour enough warm water into a large tub so that you can immerse the dirty bill of the cap in it. Dip the cap in the water to dampen the bill. Sprinkle 1 tablespoon of detergent over the bill and dip it back in the water. Let it soak for 1 hour, then rub it lightly and rinse it with clean water. If needed, repeat the process until the bill is sufficiently clean. Body sweat and dirt can make your clothes smelly and musty. Washing them too often can ruin the delicate fibers. If you’ve been scouring the Internet for an easy alternative, your search ends here. 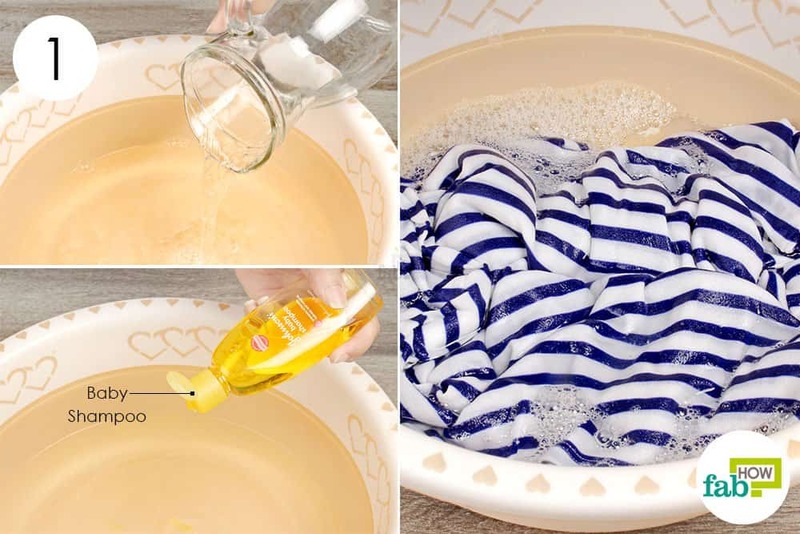 You can use this vinegar laundry hack to successfully deodorize any piece of clothing. Vinegar also acts as a natural disinfectant, killing any germs present on the fabric. 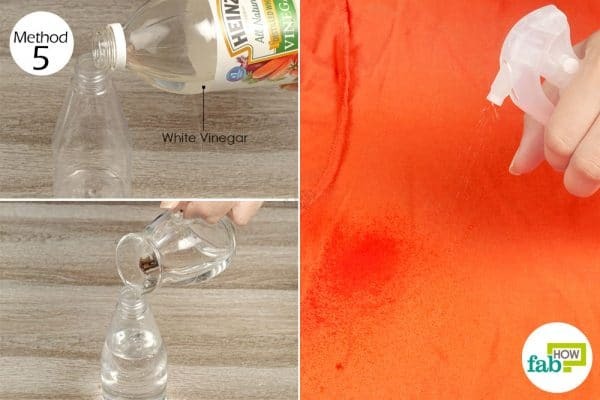 Fill a spray bottle halfway with white vinegar. Put on the nozzle and shake the bottle well to mix the two liquids. Turn the smelly piece of clothing inside out. Spray the solution on a hidden lower seam of the garment to check for any color bleed. If the solution does not have an adverse reaction on the color or fabric, spray it all over the item. Hang the item outside or in a well-ventilated space to let it air-dry. Do not worry about the vinegary smell. It will wean off as the solution dries. Use this super easy DIY fabric softener to keep your clothes baby soft and smelling nice, too. Just grab some hair conditioner and vinegar and mix them in the right quantities. 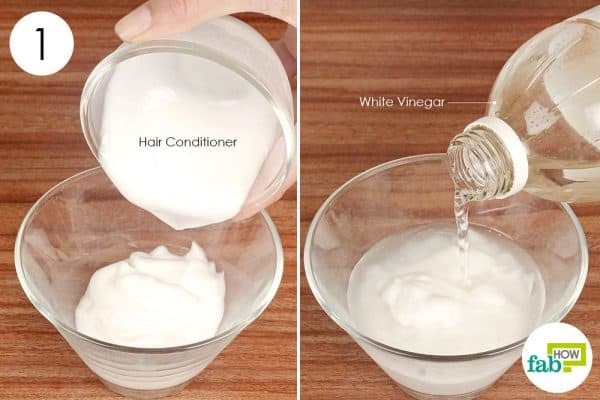 Pour ½ cup of hair conditioner into a bowl. Add 1½ cups of white vinegar to it. Use a motorized blender to create a foamy blend. Transfer it to an airtight bottle for storage. 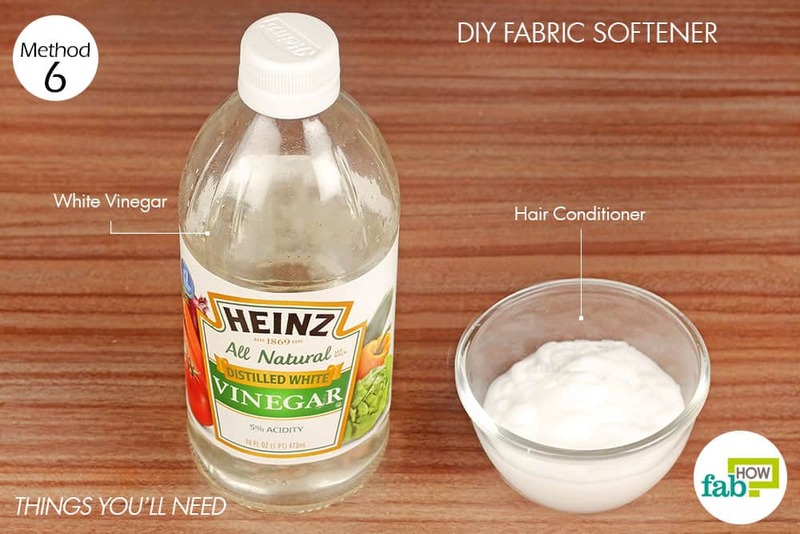 Add ½ cup of this DIY fabric softener per load to the rinse cycle. Colored fabrics tend to get lighter with regular washing. Presoaking them in salt water is a quick way to prevent a color bleed in the first wash. The chlorine found in salt seals the color into the fabric, keeping it bright for longer. Pour water into a large container. Add 1 tablespoon of salt and stir it well. 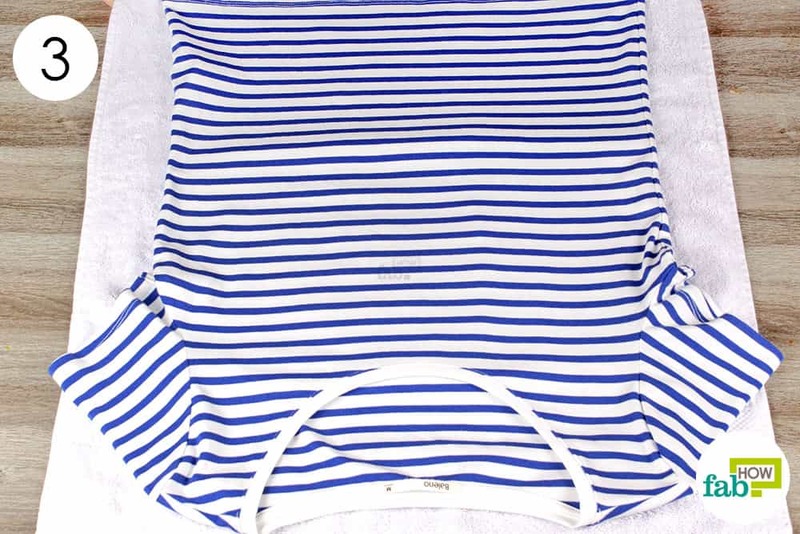 Soak the clothing item in it for 30 minutes, then launder as usual using a mild detergent. Note: Always hang colored clothes inside out to prevent them from fading under the sun. 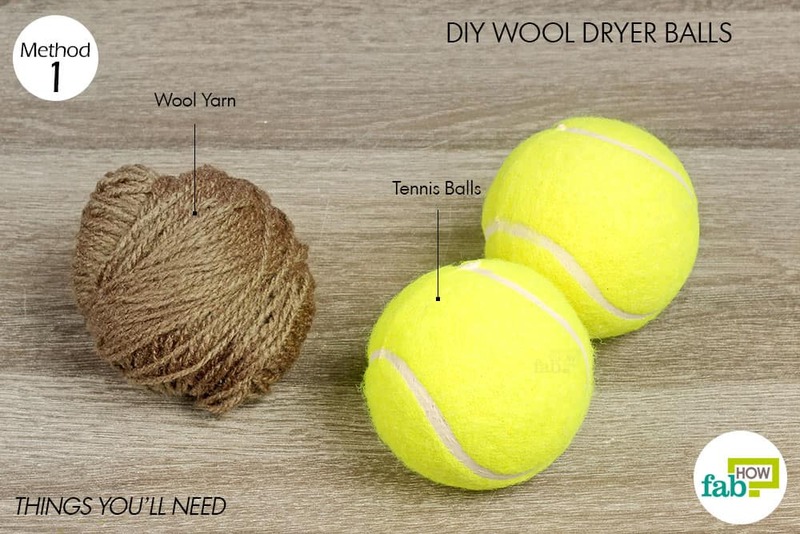 Homemade wool dryer balls are an excellent addition to your laundry routine. Using wool balls instead of commercial dryer sheets not only reduces the cost but also helps shorten the drying time by soaking up excess water. They also counter the annoying static charge and reduce wrinkles in clothes. You can either make an all-wool dryer ball or use a tennis ball and wind the wool around it for this laundry hack. Hold the end of the wool yarn over the ball. 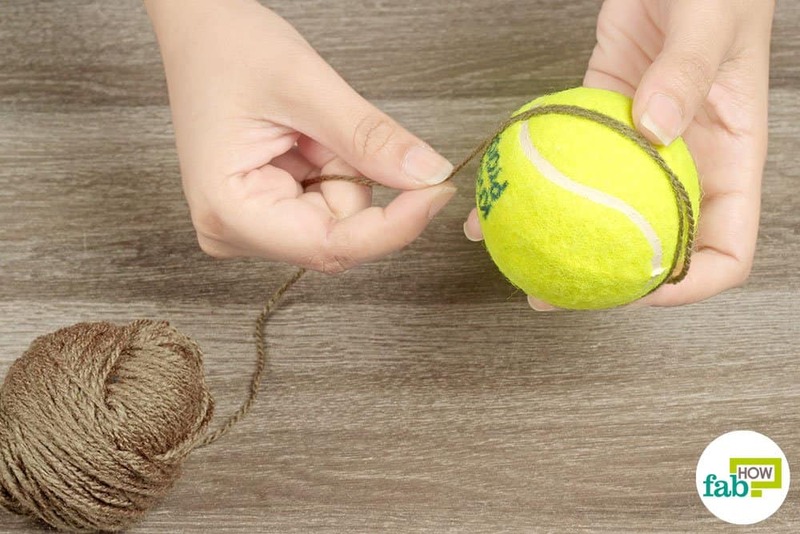 Begin wrapping the yarn around the ball from all directions. Continue winding the yarn until you’ve covered the entire ball. 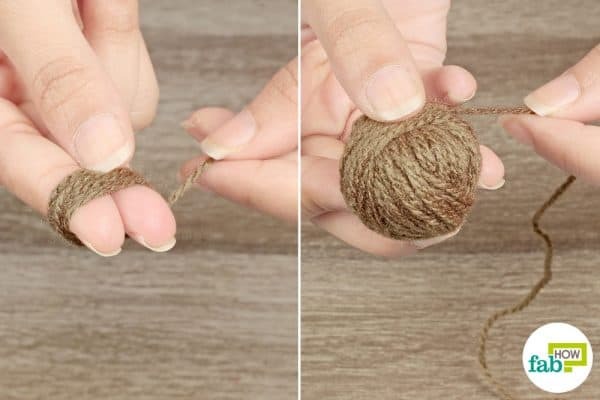 Cut off the excess yarn and tie a knot to secure the loose end. Wrap the yarn 5 to 10 times around 2 fingers. Retrieve the loop from your fingers and wind the yarn again around the center of the loop. Continue wrapping the yarn around from all sides to get a nice round, wool ball. Cut off the excess yarn and secure it with a knot. Throw as many balls as you want into the dryer along with your clothes. This laundry hack comes in very handy, especially when you are in a hurry or traveling. The hot plates of a hair straightener can serve as a makeshift iron to straighten collars. Note: Make sure that your straightener is clean of any hair products to prevent soiling your clothes. Heat up your hair straightener on high. Clamp the collar between the hot plates of the straightener. Slowly move the straightener along the length of the collar. Repeat a few times until the collar is wrinkle-free. 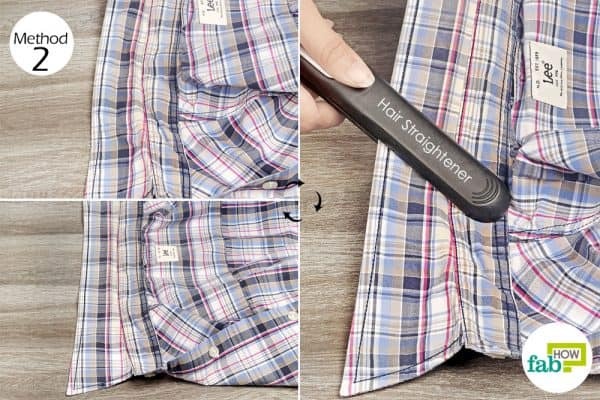 While a hair straightener works well to smooth out small wrinkled areas, this hack is useful to de-wrinkle a couple of pieces of clothing at one time. The ice cubes turn into steam in the dryer and remove the wrinkles quickly. Put 2 or 3 ice cubes in the dryer. Throw in the clothes and run the dryer on the highest heat setting for 10 minutes. Retrieve the clothes and they should be wrinkle-free. 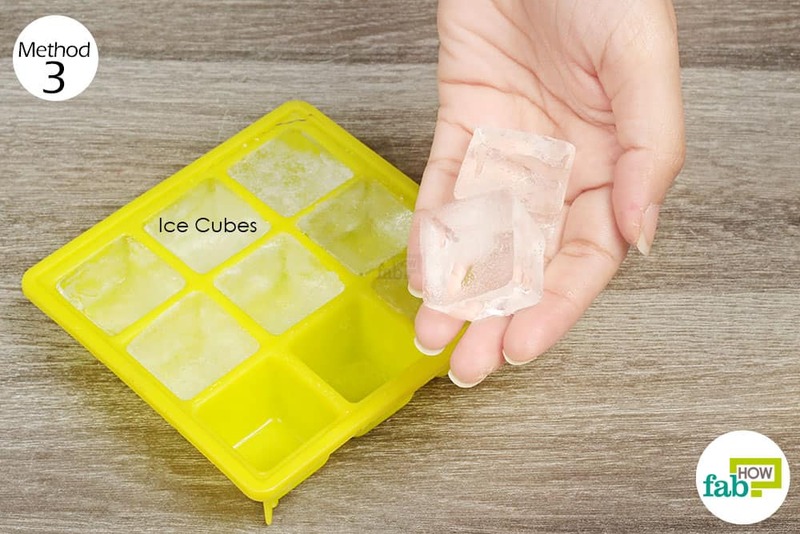 For the ice cube hack to work, put in only 2 or 3 garments at a time. Also, the ice cubes won’t work on heavy fabrics like denim. If you’ve been dealing with the annoying static charge on your clothes, we feel your pain! Dryer sheets tend to leave a mild residue on clothes and can be expensive in the long run. Try using a ball of aluminum foil instead of a dryer sheet and say goodbye to your static woes. Tear off a wide piece of aluminum foil. 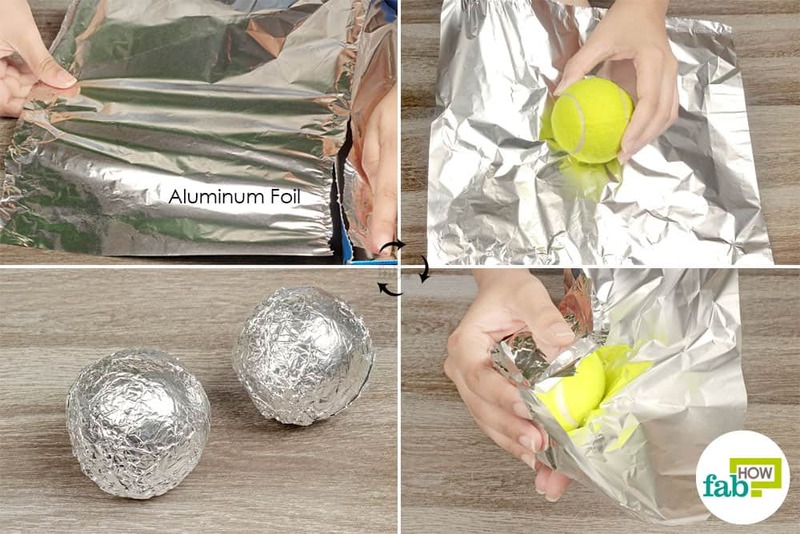 Place a tennis ball in the center of the foil and wrap it up from all sides. Wrap 1 or 2 balls and throw them in the dryer along with your clothes to keep them static-free. You can use 1 ball for up to 6 months, then replace the foil. While washing machines are used to keep your clothes clean, they too need cleaning from time to time. If you pick up a musty smell from the washer, it’s time to don your cleaning hat. Even if your machine smells fine, cleaning it regularly will prevent the buildup of soap scum, mold or mildew in the washer or hoses and ensure your laundry stays smelling fresh. 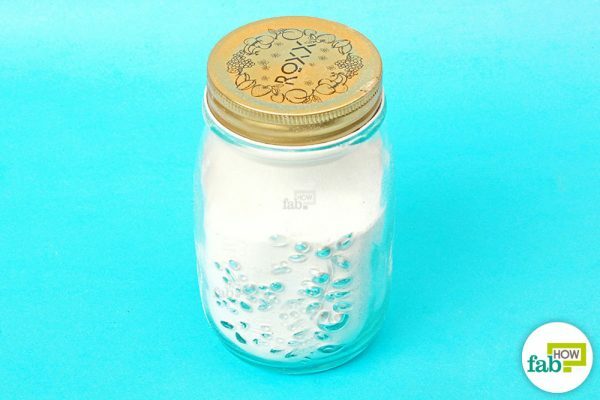 You need not resort to any expensive products for this – just grab a bottle of white vinegar and let it work its magic. Start by selecting the hot water setting and the longest cycle on your washing machine. Pour 4 cups of white vinegar into the washer. Shut the lid and let the hot water and vinegar spin around for a few minutes. Pause the machine and let the solution sit in the washer for 1 hour. Resume the cycle and let it run through. If your machine still smells funky, repeat the process again until it is sufficiently deodorized. Select the hottest and the longest wash cycle. Add ¾ cup of white vinegar to the bleach dispenser of your machine. 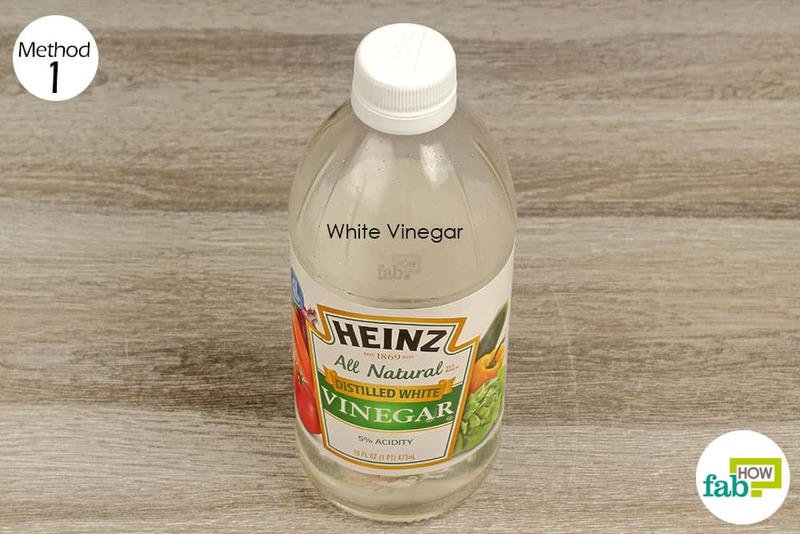 If needed, run an additional rinse cycle to remove the vinegar completely. To finish the job, soak a rag in vinegar and use it to wipe clean the exterior of your washing machine. Do you enter the laundry room with a pair of socks but return with just one? Never lose a sock again with this clever laundry hack. 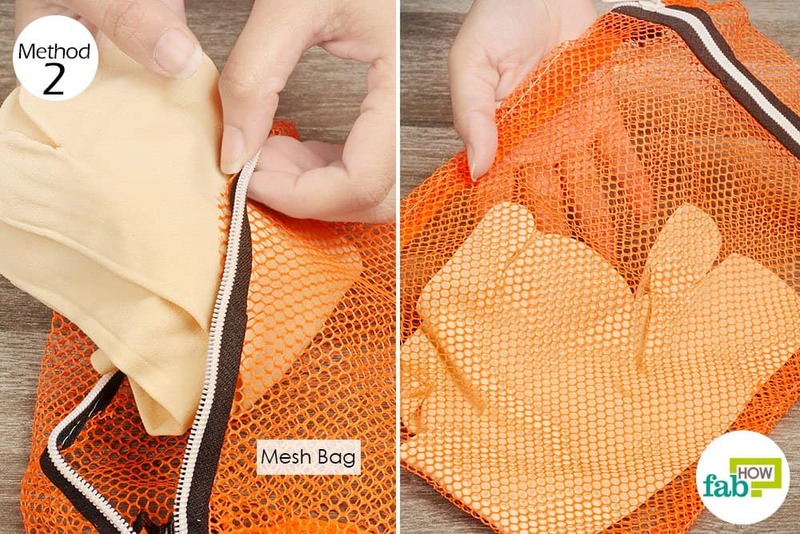 Simply place the dirty socks inside a clean mesh bag. 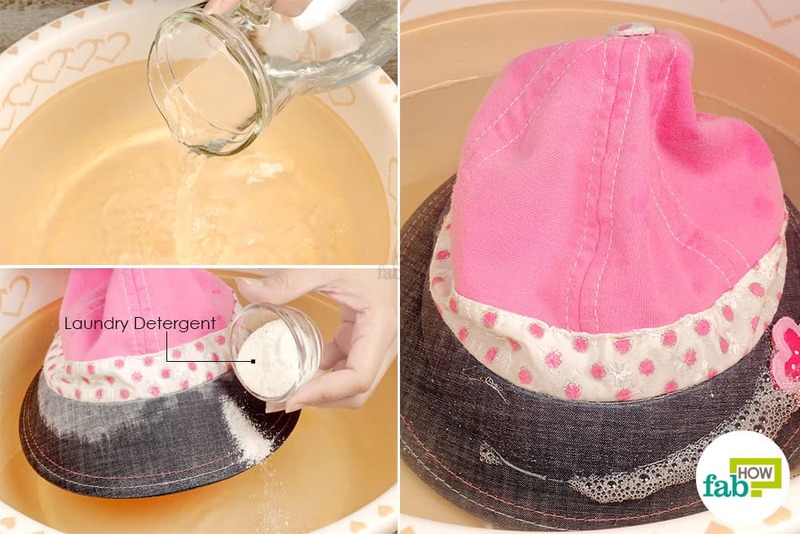 Throw it in the washer and wash it along with the rest of laundry. 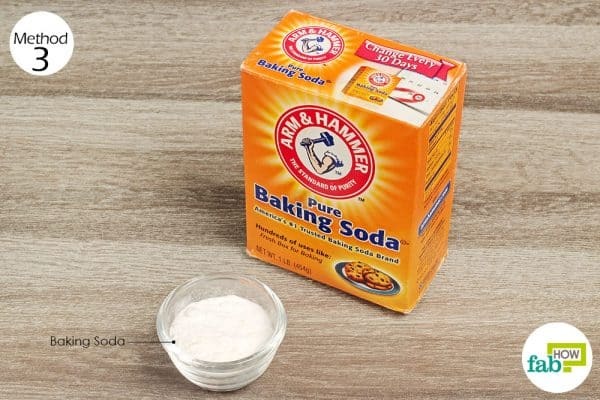 Baking soda is an excellent odor absorber. Hence, it can be placed in your laundry bag to prevent dirty laundry from smelling funny and to keep the bag deodorized, too. Fill a small cloth bag with 2 to 3 tablespoons of baking soda. Seal the bag and throw it in the laundry bag. Replace it every 2 to 3 weeks to keep the laundry bag from building up an odor. Nothing can be more painful than your shirt shrinking two sizes smaller after the very first wash. But don’t just toss it away. You can salvage your new piece of clothing using this baby shampoo laundry hack. You can thank us later! 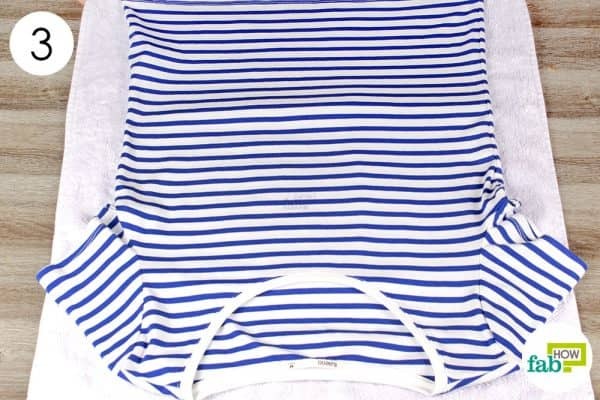 Fill a shallow tub with enough warm water to soak the clothing completely. Add about 1 teaspoon of baby shampoo and stir it well. Submerge the garment completely in the water. While keeping it under the water, stretch it out gently. 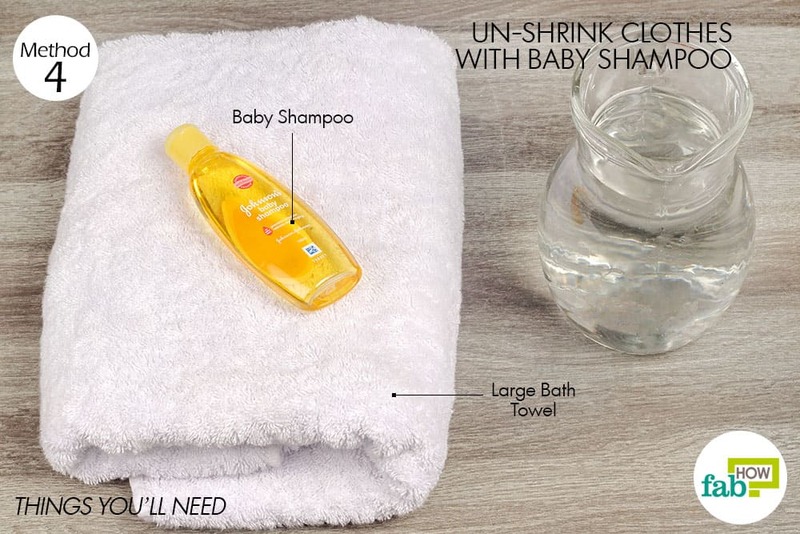 Remove the garment from the sudsy water and lightly squeeze it to get rid of excess liquid. Don’t wring it out forcefully nor rinse it with water. 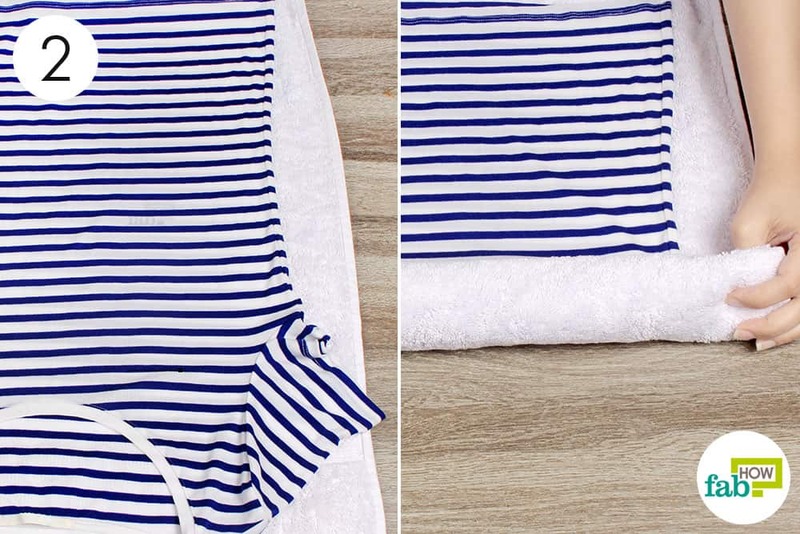 Lay the garment flat over a large bath towel. Roll up the towel with the garment inside it. Gently squeeze the towel to soak up the moisture. Spread the garment over a fresh dry towel. Repeat the process several times until the garment comes back to its original size. Also, do not put it in the dryer again if you wish to maintain its original size. Add a few drops of lavender essential oil to the wool balls to freshen up your laundry. To clean your washing machine, you can also use non-chlorinated bleach instead of vinegar. Lay a sheet of aluminum foil over delicate clothes while you iron them. To de-wrinkle clothes, you can also put a damp sock in the dryer instead of ice cubes. To keep your laundry bag odor-free, you can also use activated charcoal in a pouch instead of baking soda.